FACIALTEAM has been invited to participate in an international study on the perception of femininity of transgender individuals, before and after facial feminization surgery. It’s a multi-centre, prospective analysis about the influence of facial features on the quality of life for transgender people. The transition process in the area of facial femininity perception can involve a wide variety of different treatments. Depending on the case, each person may attain different levels of satisfaction and / or personal acceptance. As part of our commitment to your well-being as well as the advancement of transgender healthcare through science, we are pleased to collaborate in the study. 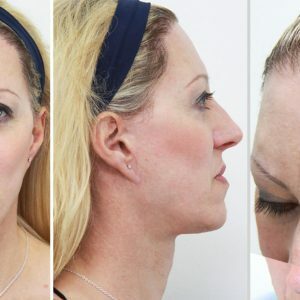 The results of this study will help improve surgical techniques in Facial Feminization Surgery (FFS) as well as increase comprehension among transgender health professionals. We firmly believe that this project of femininity perception will be transcendental in the improvement of the quality of life for transgender people. The study’s lead author, Dr. Shane Morrison, is the creator of the protocol and has obtained the necessary founds for the development of the study and the corresponding statistical analysis. The current collaborators of the study are the Brownstein & Crane Surgical Services (CA, USA), Craniofacial Surgery Department of University of Michigan (MI, USA), Washington University Medical Center (WA, USA), and FACIALTEAM’s surgical group (Marbella, Spain). The study was funded by the University of Washington, USA. (Plastic Surgery Foundation Pilot Grant 2016). According to statistics, there are approximately 25 million transgender people in the world, an estimation of 1 in 14,000 people are transgender women (Winter et al., Transgender people: health at the margins of society, Lancet 2016). It has been proven that there is a significant increase in the demand for all kinds of gender confirmation surgery in order to align the external appearance with the inner gender that the person identifies with. Overall, this is in part due to the increase of social awareness as well as the extension of knowledge within the scientific community. Until today, the number of scientific articles that confirm the importance of FFS, or study the quality of life associated with it, are very limited. The importance of this study is mainly based on the need to establish a modern medical basis for FFS surgery. The recommended evaluation process and surgical procedures. Adequate medical treatment can significantly improve the quality of life of many trans* people, with potentially significant reduction in psycho-social issues common to this community. The aim of this study is to analyze the experiences and perceptions of transgender patients from all over the world who have undergone Facial Feminization Surgery in different centers. It is estimated that the study will be complete in 2018. Given the importance of the study, FACIALTEAM is highlighted as a medical and scientific reference in the field of Facial Gender Confirmation Surgery. The conclusions of femininity perception will set a precedence in medicine for trans patients. 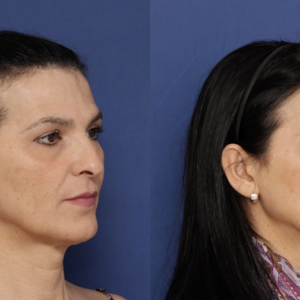 The final objective of this study is to prove whether Facial Feminization Surgery has a positive effect on the quality of life of transgender people. Stay tuned for the results!